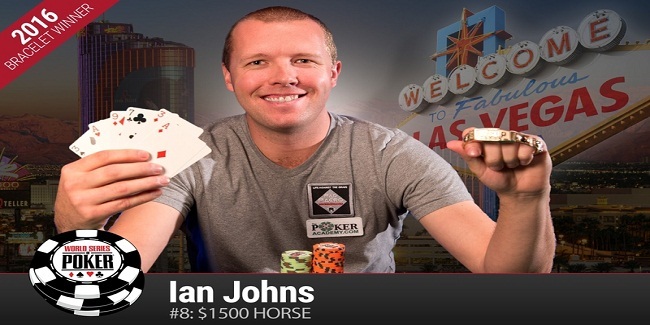 A pro poker player from Seattle, United States Mr. Ian Johns has won the event#9 of the prestigious world series of poker 2016. The player defeated many top professionals of the game and collected $212,604, being first. It was a great day for the champion, because on the last day of the game he finished last but storms back to win the prestigious title and the gold bracelet. Almost every player of final top 10 of H.O.R.S.E was having a gold bracelet to his name including Andre Akkari, Scotty Nguyen, Ben Ponzio, Justin Bonomo and Georgios Sotiropoulos. 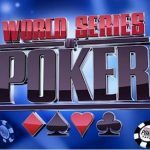 Nuber of WSOP final cashes fr the player are 18 and number of final table appereance for the players is 4, whereas life time earnings for the player exceeds to $703,300. Ian Johns was very hyper and excited after this big victory of him. He said that I’m very excited and hyper, but the feeling of winning another title or gold is same, that it was in my firt bracelet win. 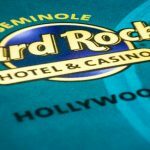 This particular H.O.R.S.E tournament is very attracting and popular among poker players. 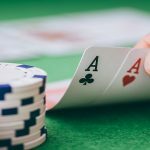 The event got 778 registrants and generated a cash prize pool of amount $1,050,300. 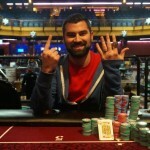 Out of 778 poker professionals top 117 players got the chance to be paid. Justin Bonomo, another poker professional from United States finished at second place for an amount of $131,412. 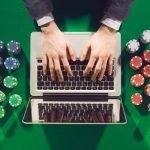 The player has 35 career cashes at WSOP and has won more than $2.7 Million of cash at different poker festivals. 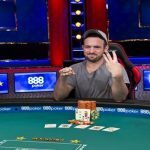 Third, fourth and fifth position s the Event#8 of WSOP were for Christopher Vitch, who took home $92,374, Noah Bronstein of U.S.A who collected $65,866 and Georgios Sotiropoulos of Greece, who got an amount of $47,651, as total winning share. A professional of Sau Paulo, Brazil named Andre Akkari was the sixth position of the game with total share of amount $34,984, with a great all time money ($1 Million)…..
New yorker Svetlana Gromenkova was at seventh place for $26,070, meanwhile Scotty Nguyen got busted in the starting of the game and booked for eighth place for an amount share which was $19,724.